Introducing the first project for our Scrappy Time pattern of the month. This lovely quilt is rotary cut and machine pieced and can be made as big as you like. Loving the bright colours with a white background. It's amazing what you can make with scraps. 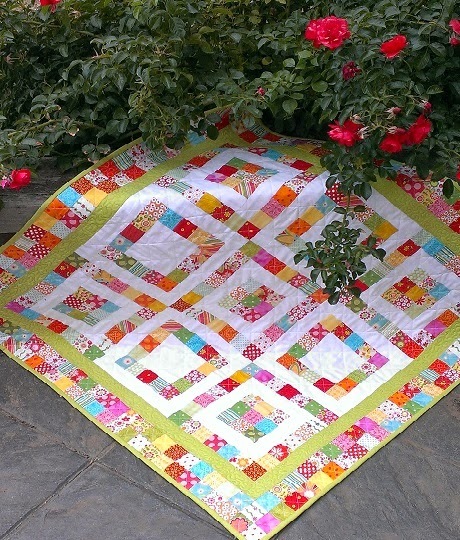 Scrappy Time is a 12 month project designed to help you use up your scrap fabrics. These original designs are the property of The Blanket Box. It is an offence to copy or reproduce any projects without permission/written consent. All Prices are G.S.T. inclusive.